Welcome to the UK smoking and BBQ forum. Over the past few years the smoking and BBQ community has been steadily growing within the UK. With the increasing number of specialist restaurants opening and street food BBQ becoming ever more popular more people are looking into how they can recreate this in their own back garden. BBQ competitions are now held regularly throughout the UK and meat and music festivals are regular calendar events. This forum has been created to help bring together a number of different resources that are used by the BBQ and Smoking community. We are not in competition with any of them but work in cooperation with them to help the UK smoking and BBQ community to grow. In the age of instant Social Networking why do we need a forum? There are some very active BBQ forums out there that receive many hundreds of posts a day. 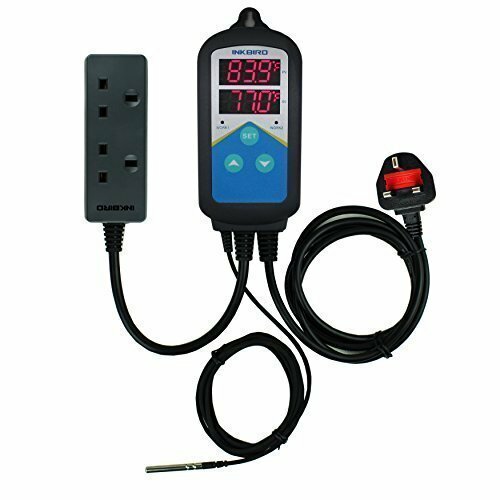 These are great for instant information that is immediate and timely. 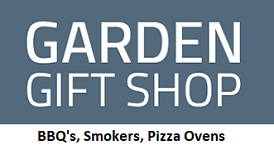 These include Country WoodSmoke (CWS) and the British BBQ Society (BBBQS) Facebook sites. Both of these are used regularly by members of the WoodSmoke Forum. Information posted here though is quite transient and rapidly becomes hard to find. The longer after very helpful information is posted the more difficult it becomes to find. With a forum format the longer term reference information can be saved in a way that is easier to find for both current and future members. We encourage members who post here to share their experience within the appropriate forum areas and to link to it from other forms of social media. This forum is there for you to use as a knowledge resource. We have tried to make it as simple to navigate, search and post as possible and we welcome all sensible suggestions as to how it can be improved. If there is a discussion category that you think is missing or could be better structured then please let us know so that potential changes can be considered by the Admins. 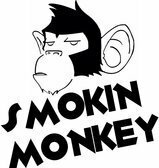 This forum is open to everyone interested in smoking and BBQ. 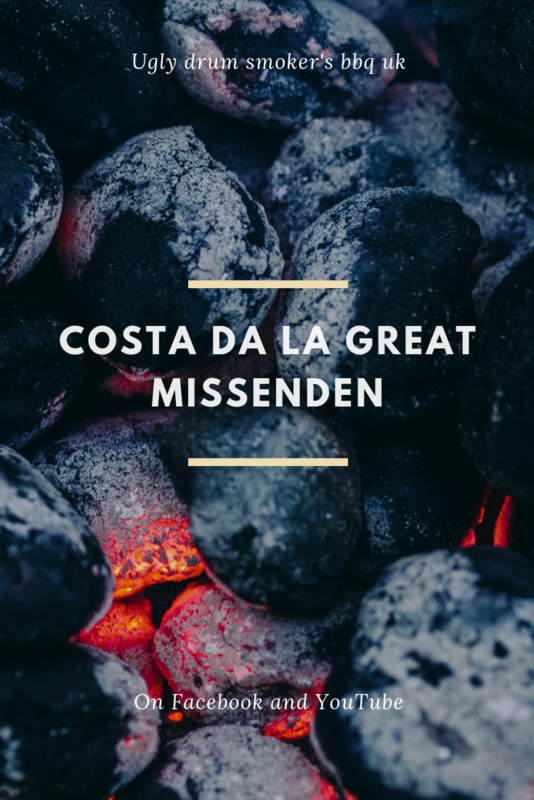 If you have only grilled a sausage before and want to learn more, are a moderate or seasoned smoker who wants to both share and consolidate their skills, a regular BBQ competition competitor or a BBQ/Smokehouse restaurant owner there are areas here that will be of interest. Standard membership - FREE. 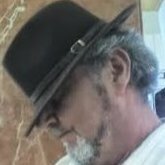 this gives full access to the main forum and resources. Premier membership - By paying a small subscription you can have the advertising suppressed and the knowledge that you are supporting a good cause. Forum Sponsor - Have your logo and details displayed within the forum and the ability to advertise relevant products and services. This will be a great source of everything Smoking and BBQ. A one stop place for recipes, help and finding suppliers of things like wood, charcoal, meat etc. I'm glad we got steered in this direction...I'm on a couple of beer & wine forums that are either in the USA or Aussie so it's great to have a UK based site. Glad you've decided to give it a try, how did that Birch dust work out?? Hi Ryan and welcome to the forum. Where are you based? One again, welcome to the Forum Ryan. Finally made it Ryan ! 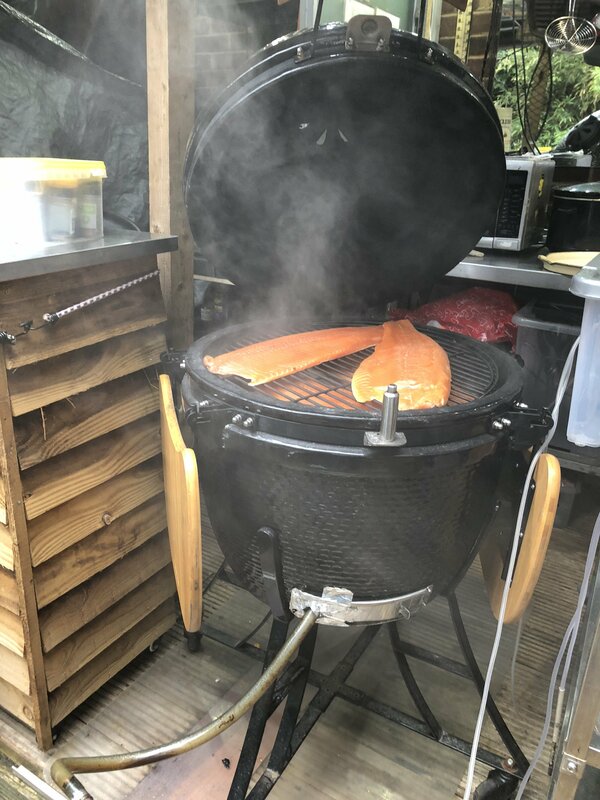 Hi all, I’ve had a problem smoking the last two lots of salmon. Finished smoking 2 sides yesterday, smoked over beech/oak for 8hrs, very wet inside smoker (Kamado type) grill with homemade smoke generator. I have a fan inside but don’t think it’s powerful enough and from what I’ve read on here in the wrong position. The salmon has an acrid taste on the top but once tops removed it ok. I’ve only used this in warmer weather when it’s been perfectly fine. Do you think it’s a fan problem not moving the smoke fast enough. I’ve smoked using old cupboard and chest freezer over the last 10yrs and never had this problem. Wetness inside the smoker. Are you using the smoker outdoors or in a cold shed? If so then the ceramic fabric of the "Kamado" will have become quite cold. Even with the heat output from the smoke generator the ceramic will remain cold for a long time. 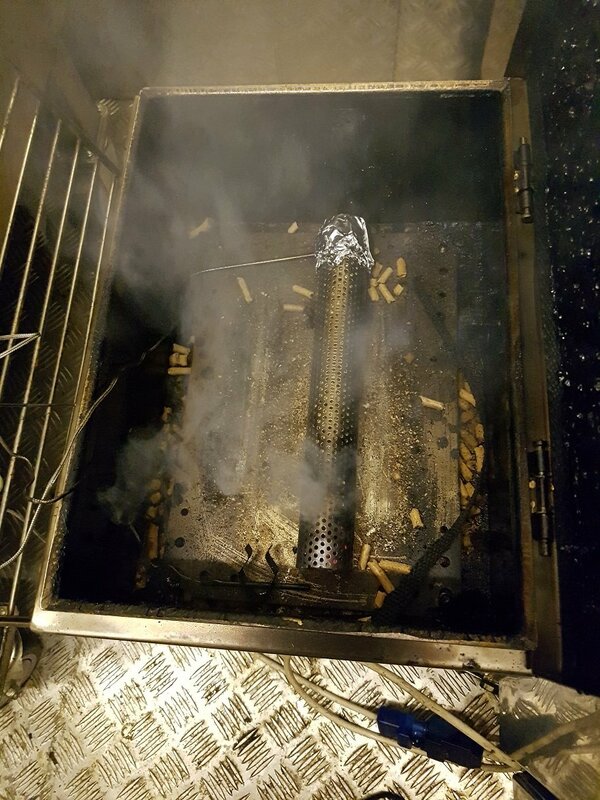 One of the products of burning dust/pellets in the generator is water vapour and as soon as this touches the cold ceramic surface it will condense and make the inside of the smoker wet. 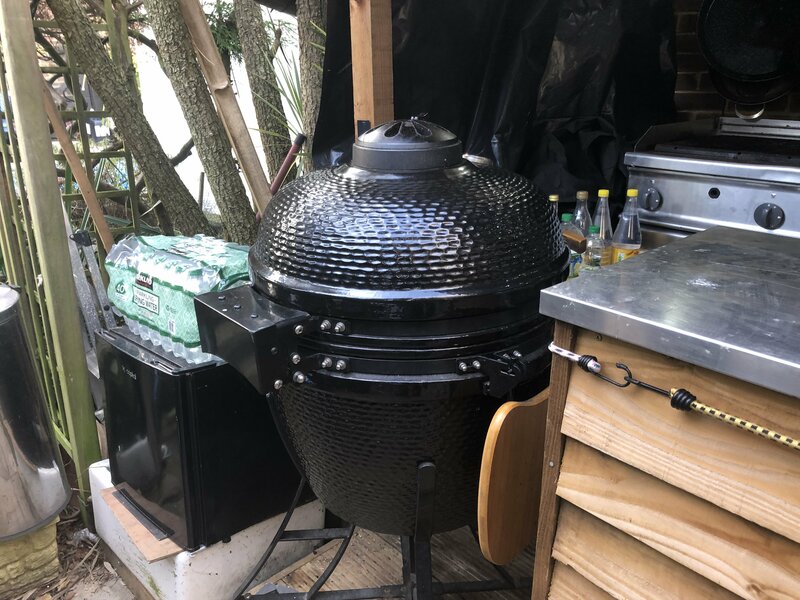 To overcome this the ceramic needs to be warmed so that the air/smoke flow through the smoker can remove this water vapour before it has a chance to condense. Air flow through the smoker. You need to keep a steady flow of air/smoke through the chamber and a fan is a good way of doing this. Without seeing where you have your fan it is hard to tell whether it is in the wrong place. Usually the fan is best installed in/over the flue so that the air flow is smooth - maybe the fan located in the smoking chamber is having more of an internal circulating effect and is not causing as much air exhausting as you think. 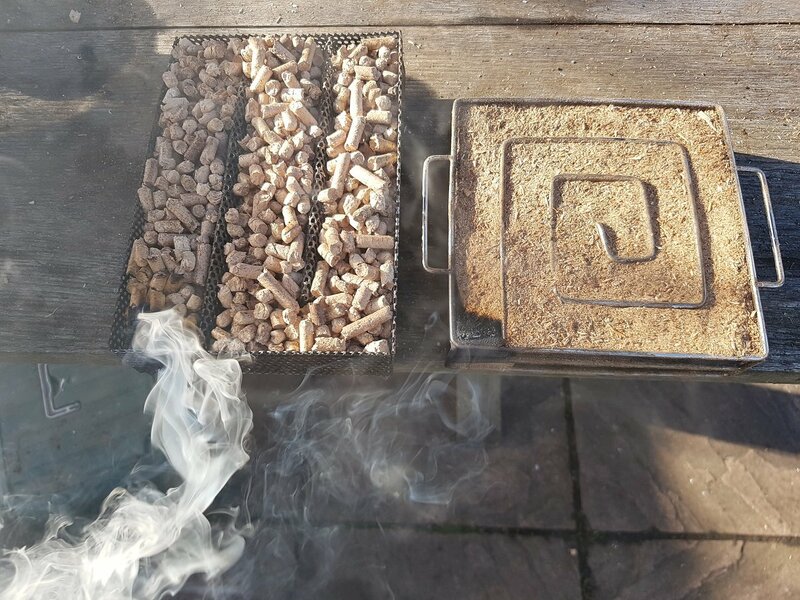 You do not need a fast flow of air - just enough to stop the water vapour and smoke tars from settling on the food being smoked. This will be even less effective if there is a lot of water condensate inside. Acrid taste. 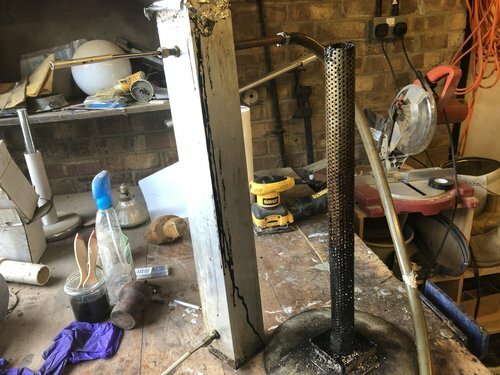 This is almost certainly down to the heavier tar-like substances in the smoke (that would usually pass straight through and out of the flue) dissolving in the water condensate and then coming in contact with the food surface. Sometimes, with less smoke, this taste can just resemble a "stale" dampness in the food. I think that simply warming the ceramic before (and during) your smoke will overcome most of these issues. If you can move the fan so that it is outside the flue that will also help. 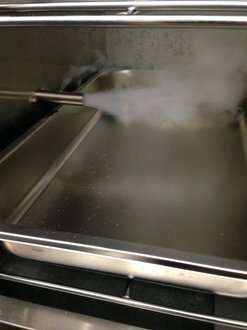 The smoking stage is an important part of the salmon curing process and is where a considerable amount of the water is lost. I do not know how long you salt cured it before smoking but thick salmon sides/fillets can require up to 24 hours in the smoker to remove the water. 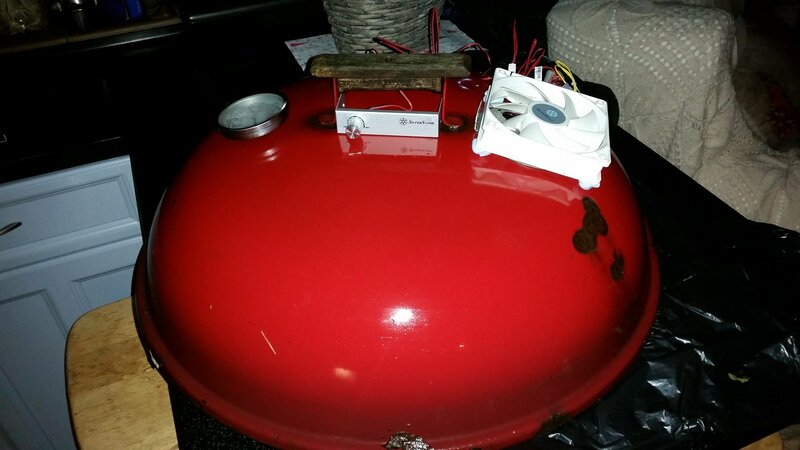 Smoking at ~20 C will help to solve your problem and this can be done using a simple thermostat and ceramic heater. I used to make my own temperature controllers but now I just use the Inkbird ITC-306UK (~£30). It has both a heating and cooking socket which is useful. 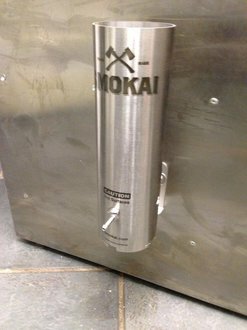 What type of home made smoke generator are you using? Hi Wade thanks for that most helpful. I checked the fan this morning and I’m not sure if if was working at all. What you say about heat makes sense as I didn’t have a problem in warmer weather. 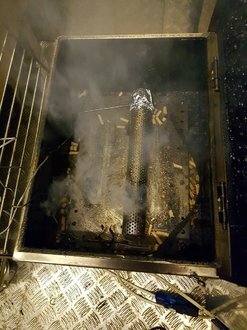 Pics of grill and smoke generator. Box section aluminium, stainless steel perforated tube to hold fuel plus two fish pumps. It’s burns for about an hour per tube load. Strangely yesterday did 3 loads no problem but from then on the it kept going out. That’s when I went looking for help. I think the pro q maze at the bottom provides just enough heat to give lift and the smoke converts upwards, . 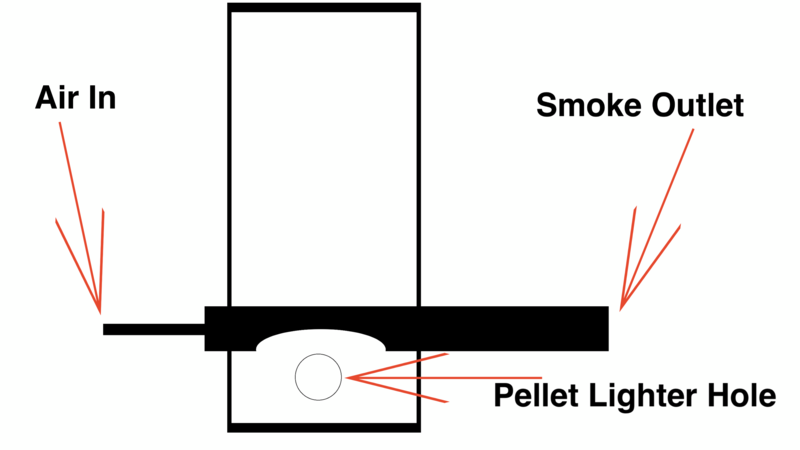 Offsetting the smoke means slightly cooler smoke that still draws but relatively cool enough that vapour that is picked up by in the smoke condenses? maybe cooler smoke picks up air vapour easier, it does not take much. I seem to remember a experiment proving the same in a physics lesson. Obviously heat provides enough lift as it draws air through so with out at least a tipping point of that heat level then this is what happens particularly when the surroundings is colder and the offset smoker produces smoke that cools even more. 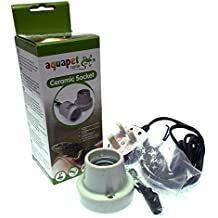 I agree a ceramic bub on digital thermostat will fix the situation and will also help to dry the fish more when be smoked in the cooler months. 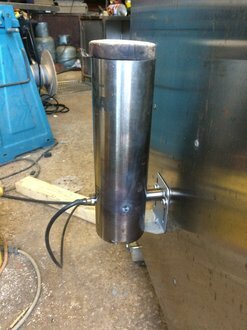 You cold try lagging the pipes for the offset smoker tube to retain a little more heat in the smoke transfer to the Kamado ? 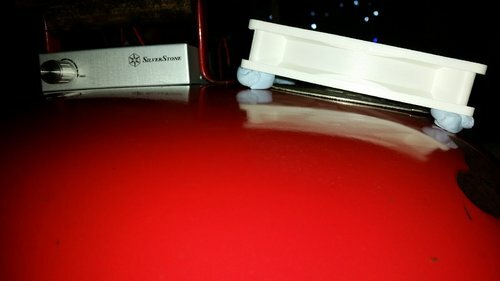 re: tube going out, build up of ash blocking airflow from the bottom? I see why you have it vertical but it is usual to have it horizontal in the smoker so there is no trouble with ash build up interrupting airflow. I guess you could blow out the bottom before refilling every hour. 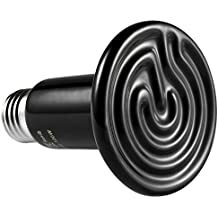 I am surprised it only lasts an hour, do you light the bottom or the top? What do you use for fuel? dust or pellets? Does the burn travel up the tube or down? Is that a Venturi at the top or simply a stream of air? If you are only getting an hour from the generator of that size then I think it is burning the fuel way too fast. I would expect a minimum of 6-8 hours from a generator of that size when used for cold smoking. For cold smoking you do not need a great density of smoke - you only need fairly thin smoke passing constantly over the food and then out of the flue. If the top is a Venturi and the bottom is also pumping air in then you may be providing too much air to the fuel causing it to burn away quickly. If it is a Venturi at the top have you tried not also pumping from the bottom - just leaving the bottom hole open to let air in as it is being pulled out of the top. If the top is not a Venturi have you tried only using the bottom pump? If the fuel burns from the bottom up then you may also be overheating the fuel above causing it to burn away too quickly. A way of overcoming this is to use the generator horizontally so that the burn is along the tube rather than up. If when using the low air flow the fuel keeps going out then it may be because it has a too high moisture content. To get over this, before putting it in the tube, place the fuel in a bowl the microwave and zap it for 3 x 1 minutes, stirring in between. This will remove a good proportion of any moisture. Thanks Wade/Justin, I use oak and beech coarse dust, I light the bottom, that’s a flow of air across the top of the tube. 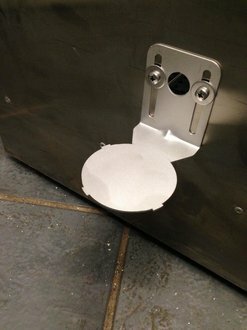 If the top flow is turned off the smoke pours out of the bottom hole. Next couple of weeks I’ll try all your suggestions. I do give the perforated tube the one over with a wire brush when I reload it. 6-8hrs Wow. I’ll also try the horizontal approach. I’ll let you know how I get on. The tube smoker (which came from ebay - perforated stainless steel tube motorcycle exhaust parts) was about £12 and is ~30 cm long. It burns pellets and when burned on its side without any air restriction it will burn for about 4 hours. In a restricted environment it will burn for significantly longer. 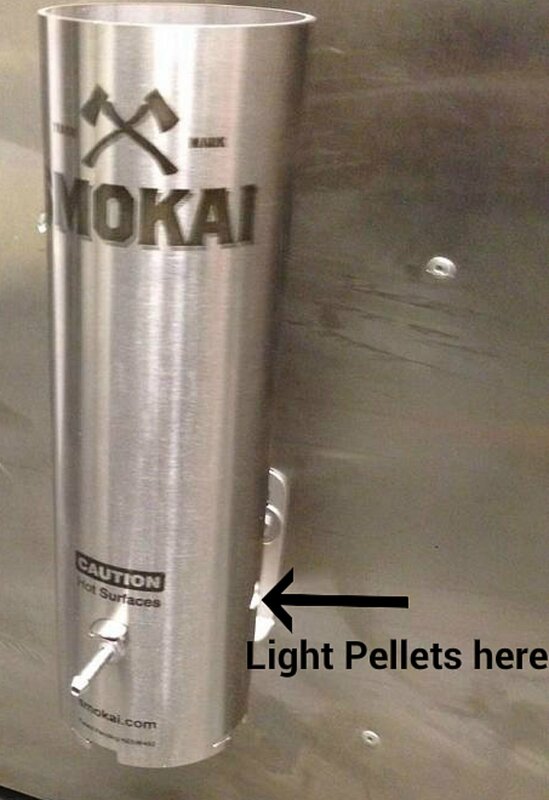 The picture below shows it alight in the "mailbox mod" that is attached to my cold smoker. I am sure that with a bit of tweaking you can make your generator last significantly longer than it currently does. Hi, a Pal of mine has the AMNPS and the ProQ but just can’t keep them alight. I might try one of those in the grill, would it need an air pump and a fan in my grill? Pro Q. Dry the dust by microwave for a few secs. Make sure they are alight before removing the candle. As wade says microwave dusy 3 times 1 minute. Stirring aftet every minute. 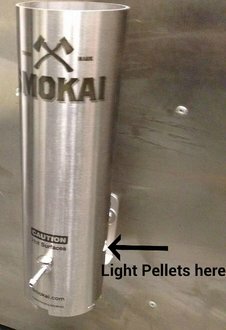 Make sure your pellets and dust are dry before you use them. That, and having insufficient air flow, are the biggest reasons that they go out. With the ProQ you need to fill the spiral with dust and then press it down firmly with your finger all the way around. With the AMNPS you need to jiggle the pellets on top with your hand so that as many air spaces as possible are removed without crushing the pellets. As @Raptor72 and @Justin say, forget the candle and go straight to the blowtorch to get them going. Make sure they are sustaining a flame for a minute or so before blowing them out and getting the smoke. You should not need a fan in the grill. Just make sure that the top and bottom air holes are left fully open. Here is a video I made a few years ago regarding the use of the AMNPS type generator and it shows just how long it will generate good quality smoke from a single load of pellets. Intrigued with the Smoke Generator. As Wade said, I think it’s burning way to fast. 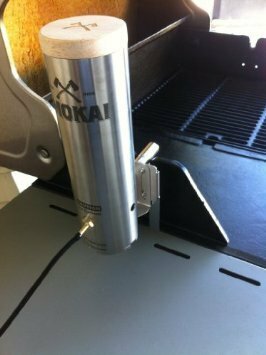 This is a Smokai Smoke Generator I fitted to an Electric Smoker. This Smoker will run for about 8 hours on one load of pellets. Genius stuff mate. Good work. Hiya, where’s the best place to buy pellets from?